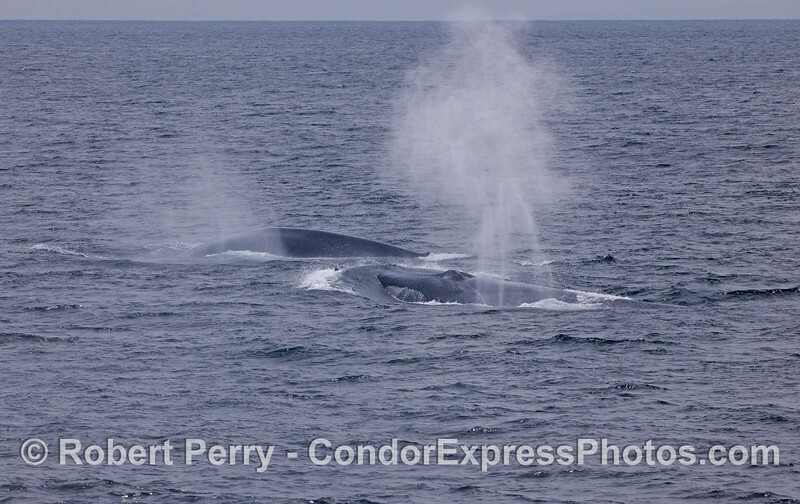 First we see the Humpback Whale (Megaptera novaeangliae) that breached for an hour, and then, second, we see the Blue Whales (Balaenoptera musculus). 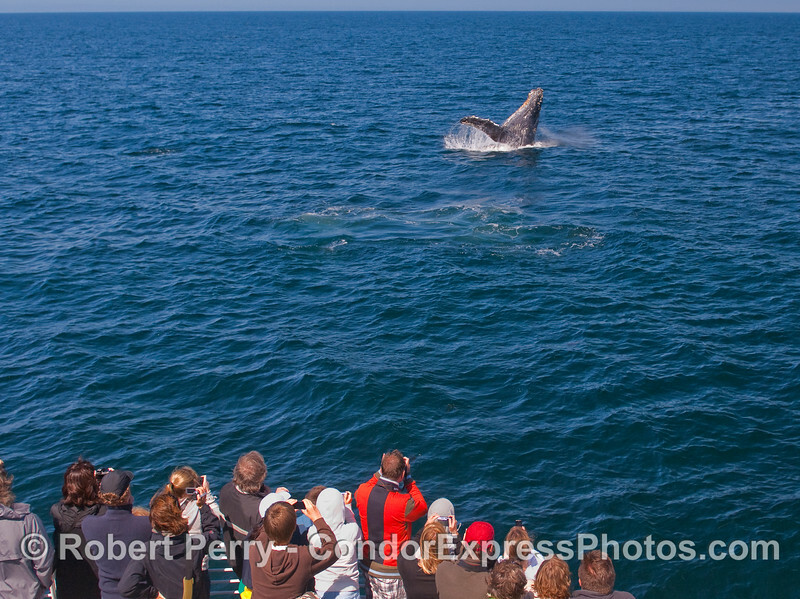 A morning trip up to Platform Holly was hosted by WSPA. 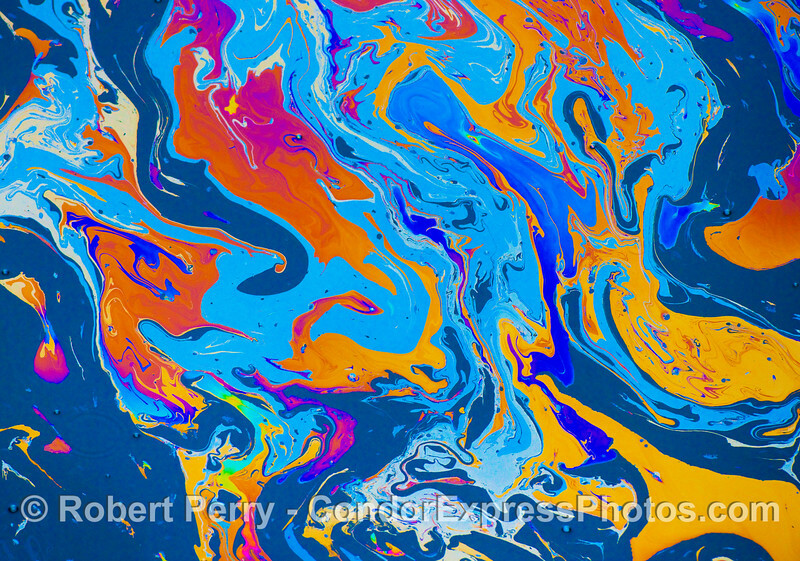 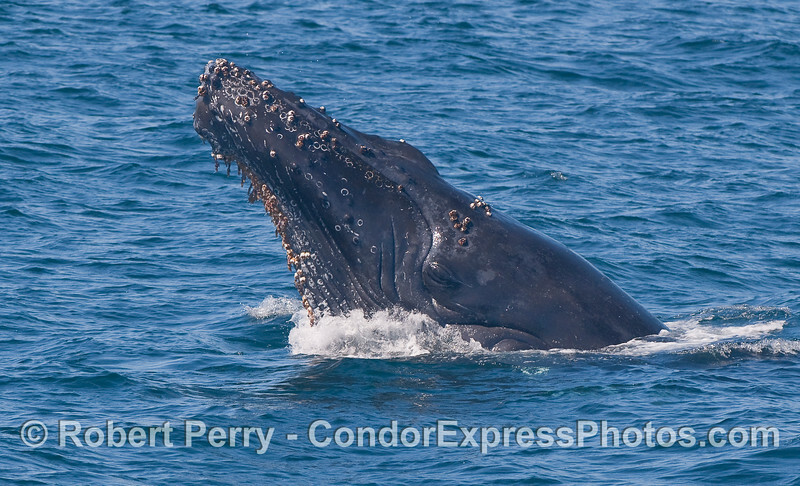 This is what happens to your brain when you see too many Humpback Whales in one day....no, really, if you look closely, you can see the little methane and oil bubbles coming up from the natural seep down on the ocean floor. 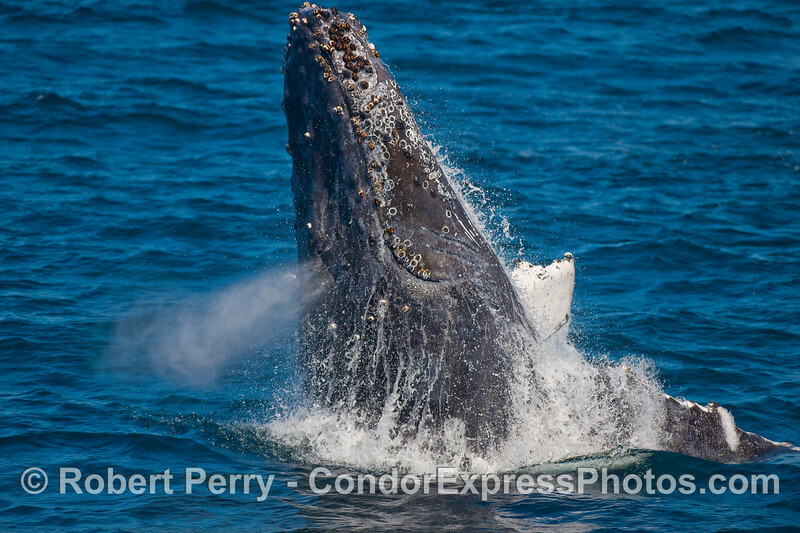 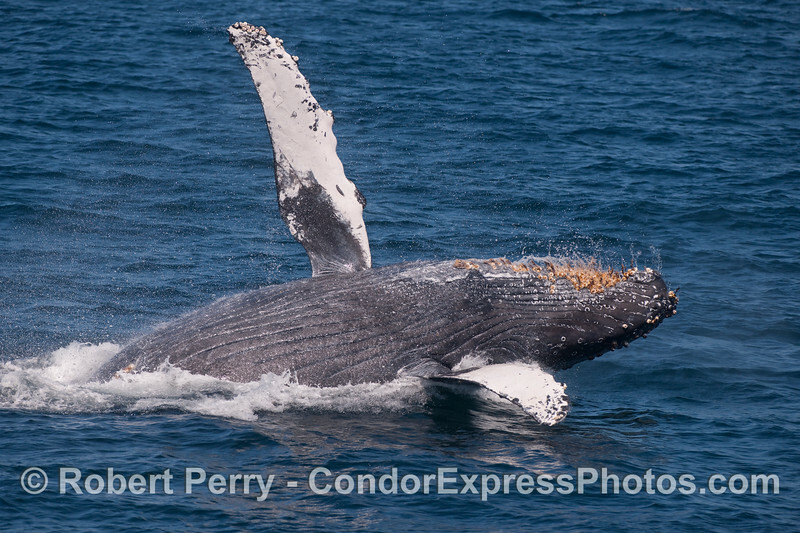 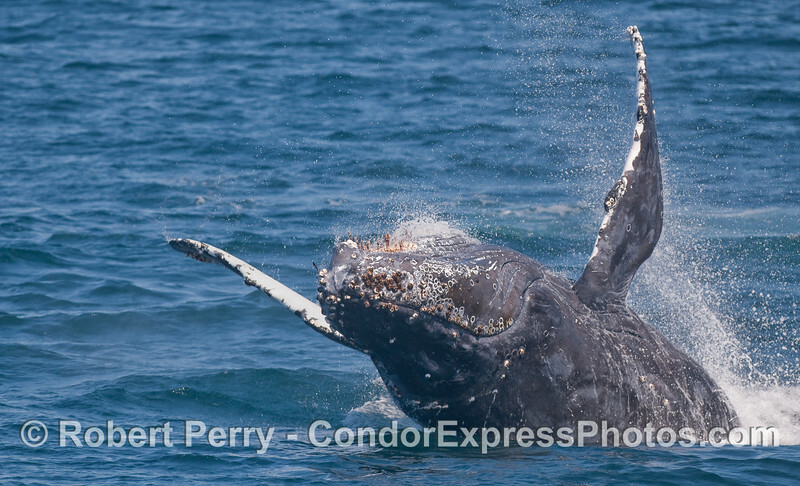 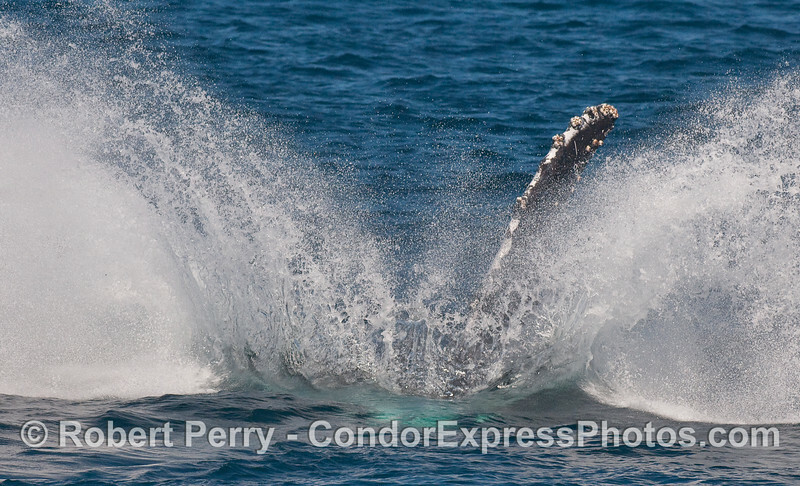 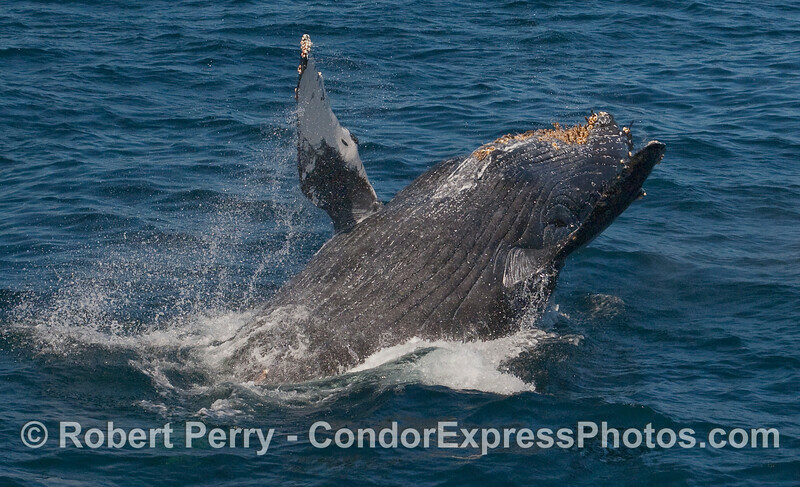 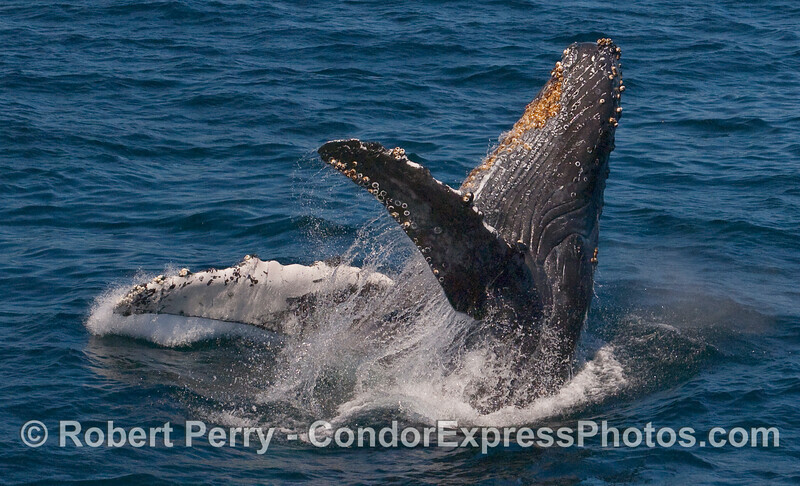 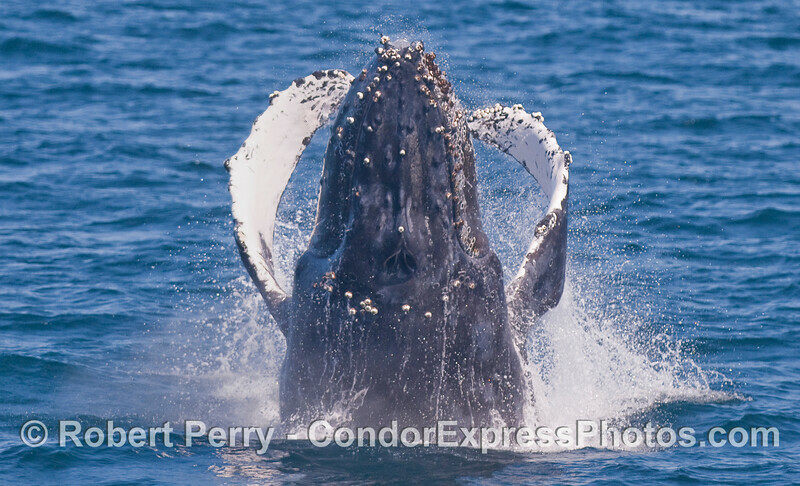 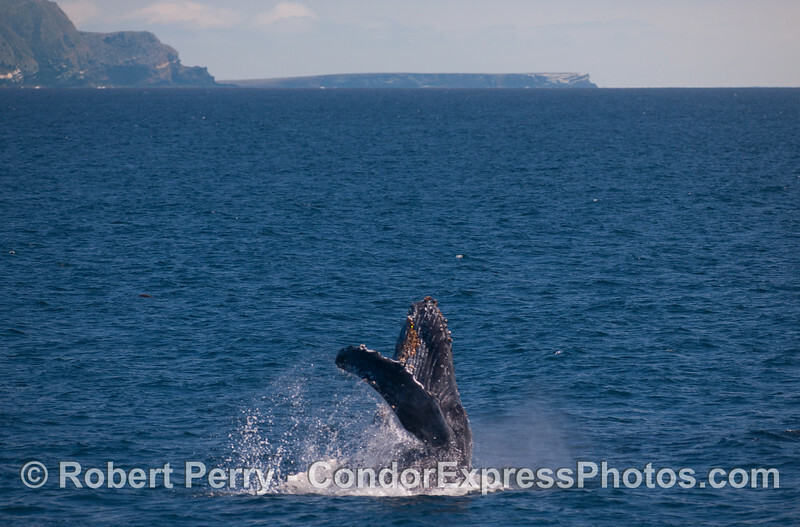 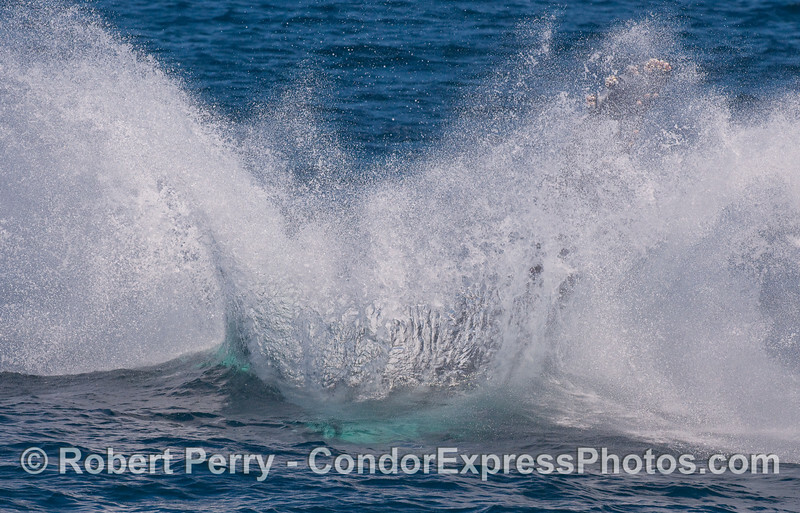 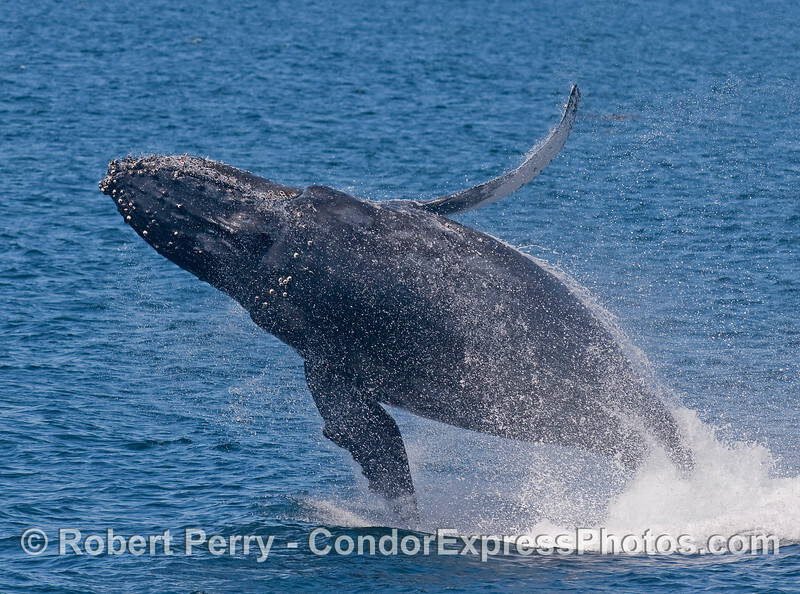 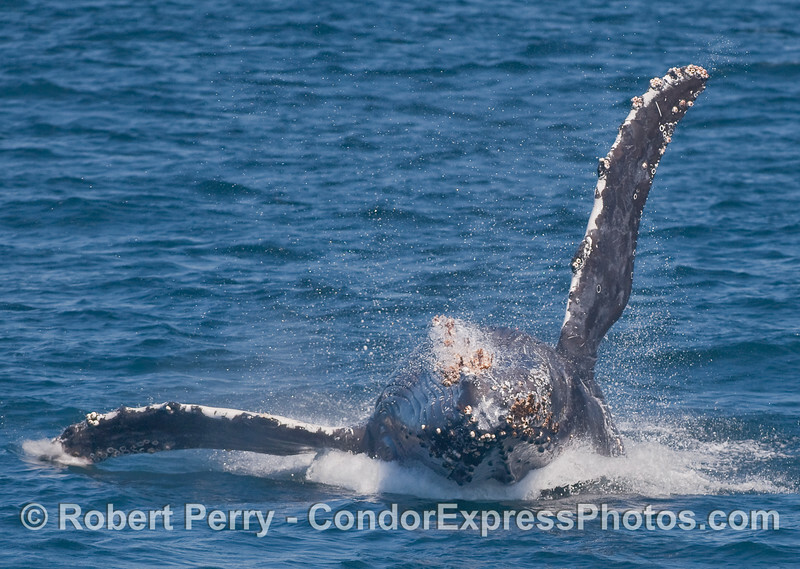 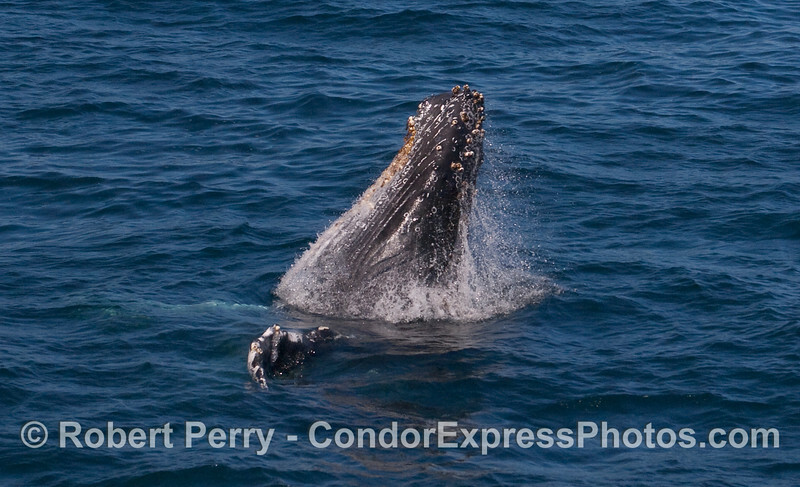 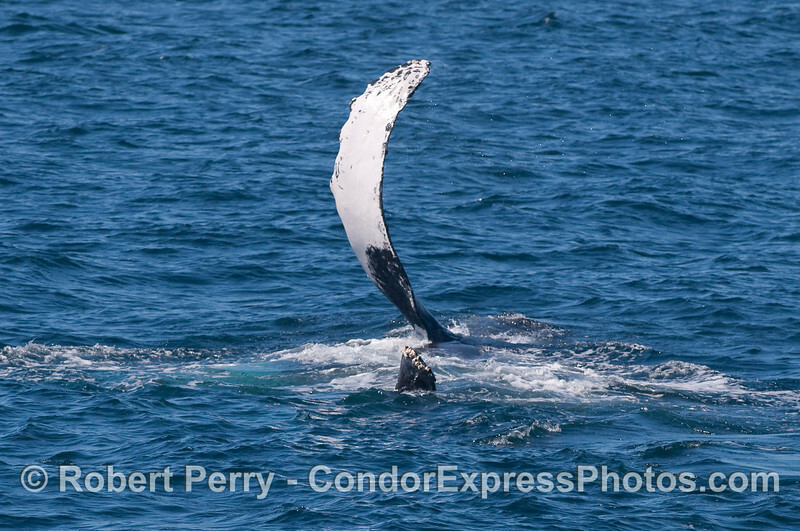 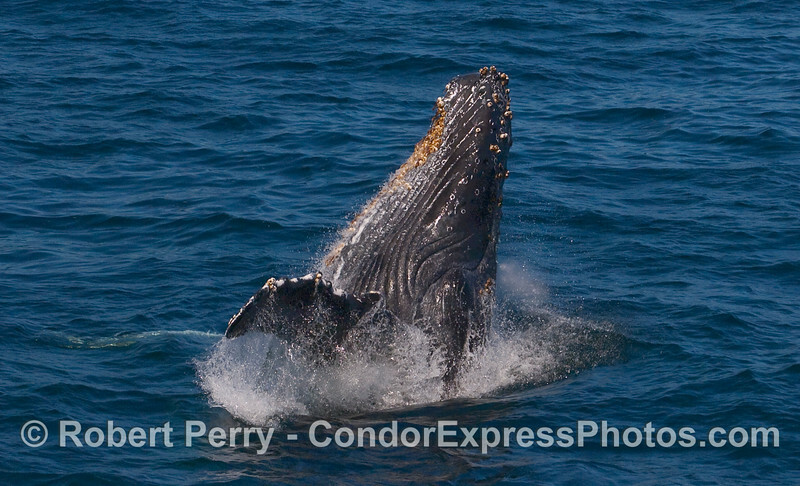 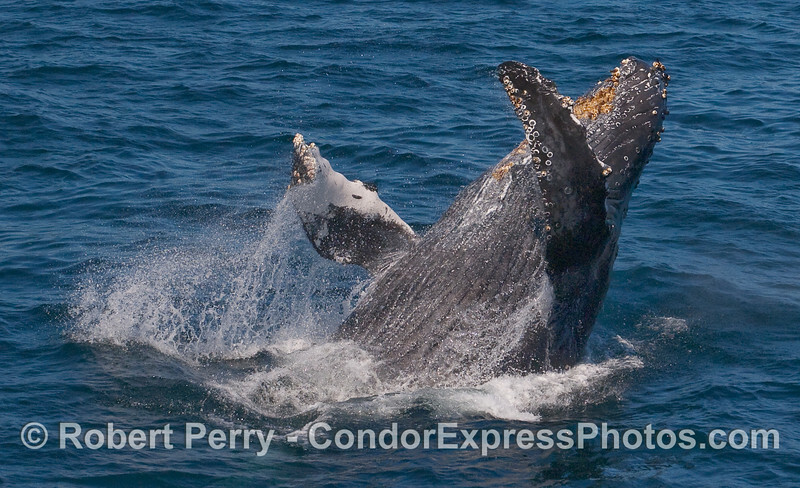 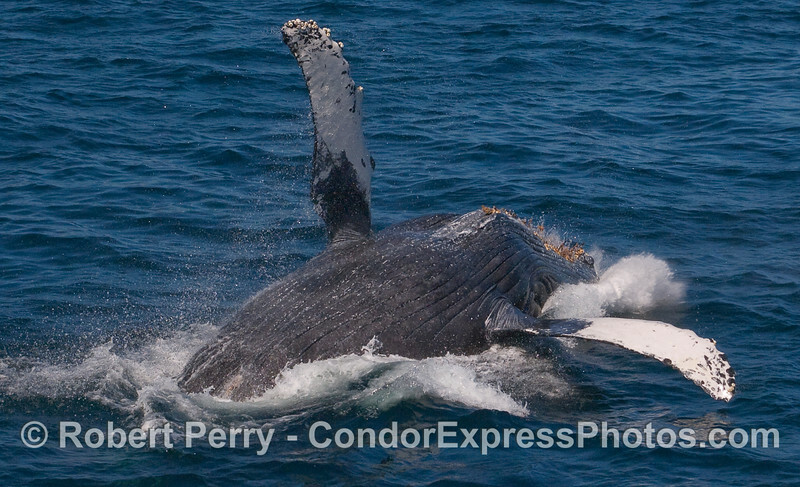 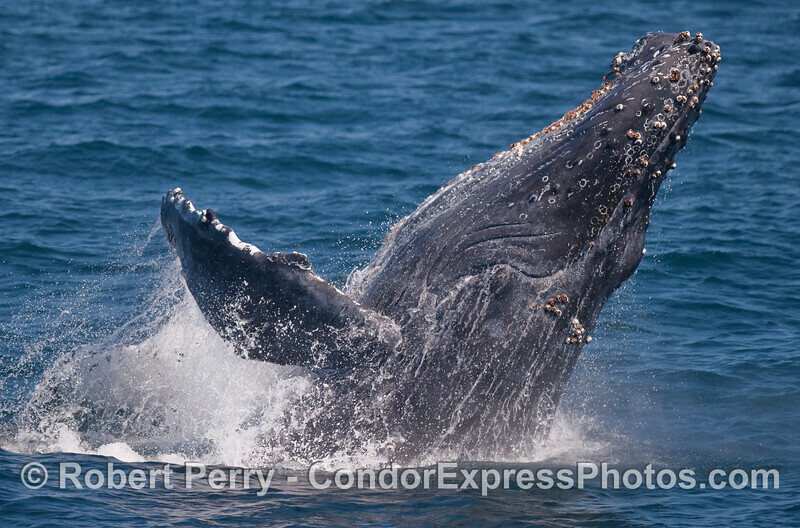 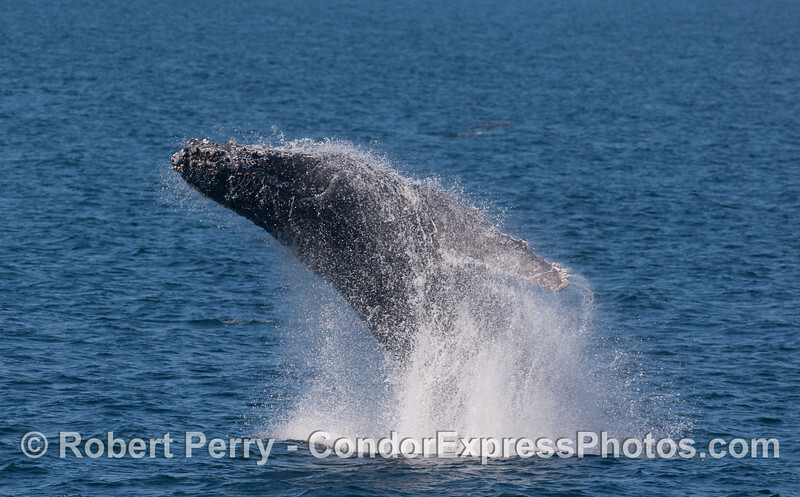 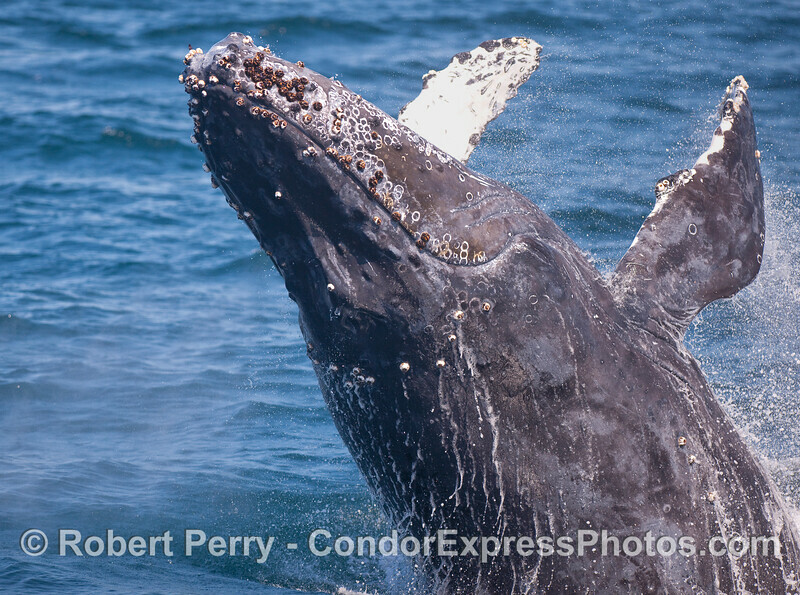 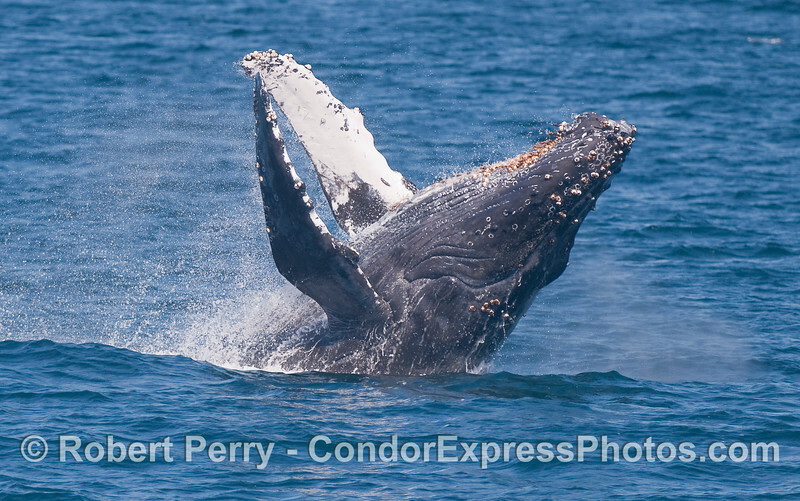 A multi-tasking Humpback Whale does a "half breach" while spouting. 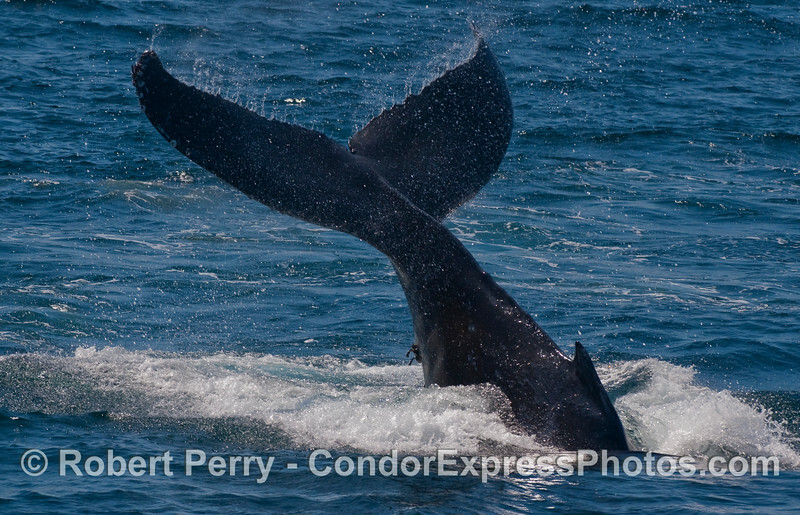 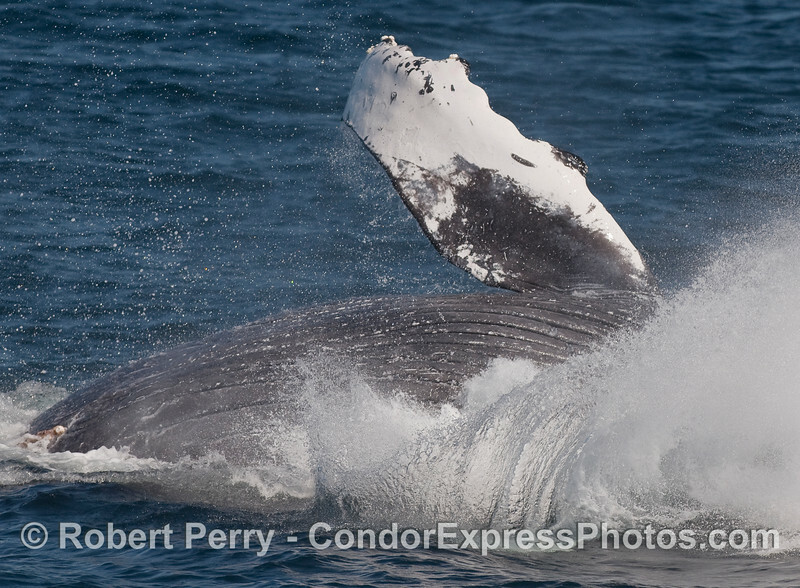 A dramatic Humpback tail lob. 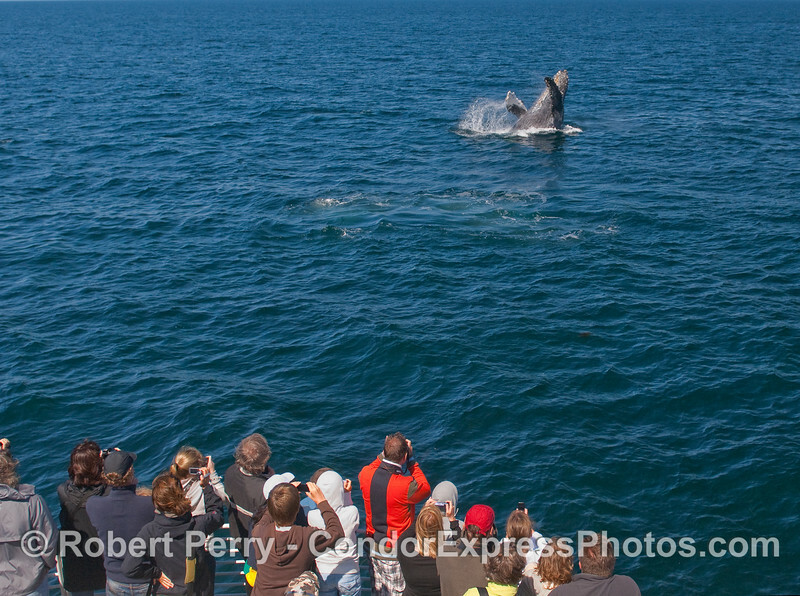 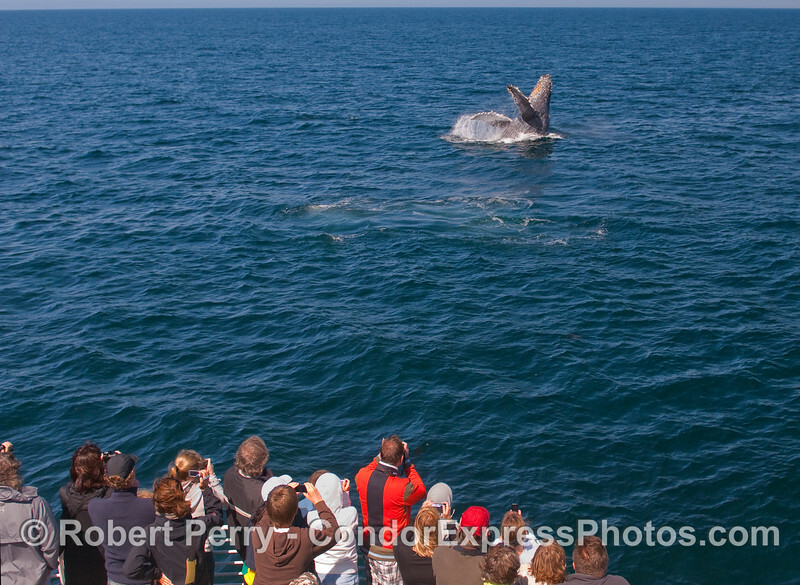 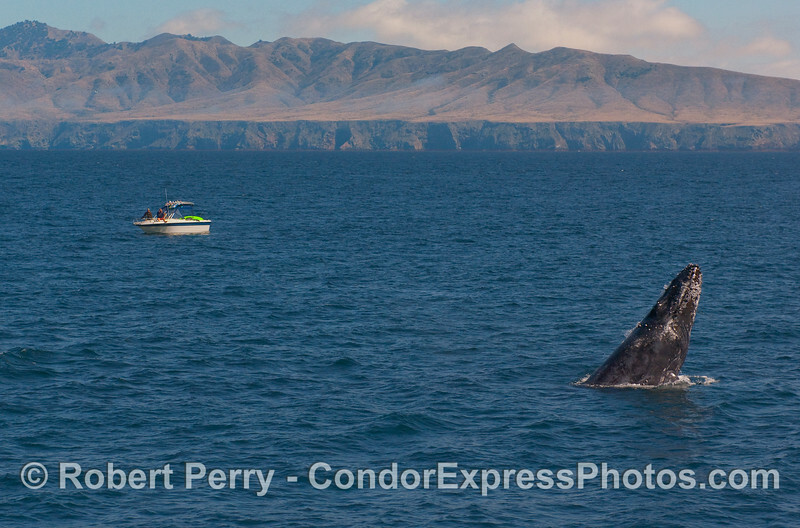 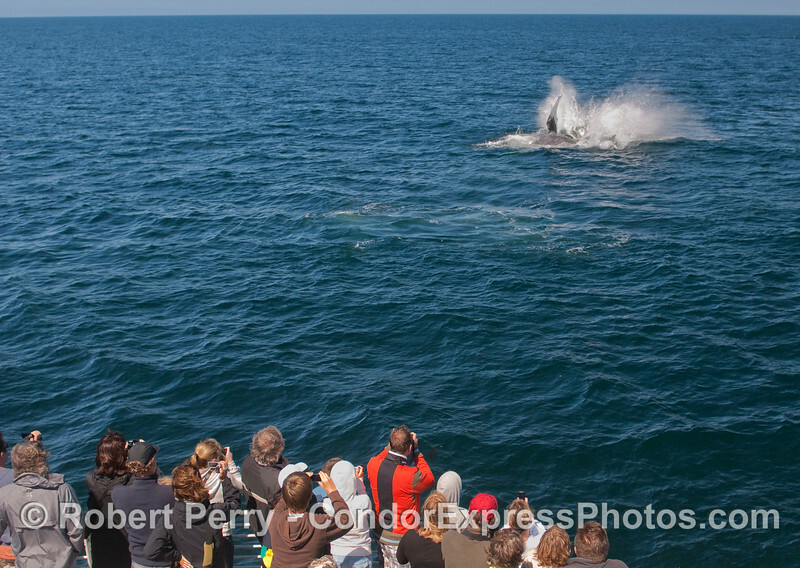 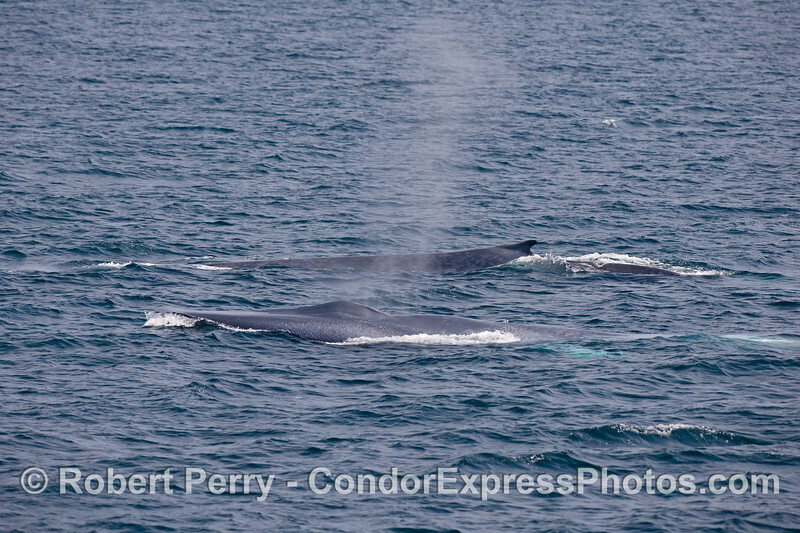 Humpback (foreground) and Blue Whale (background) together on the hot spot. 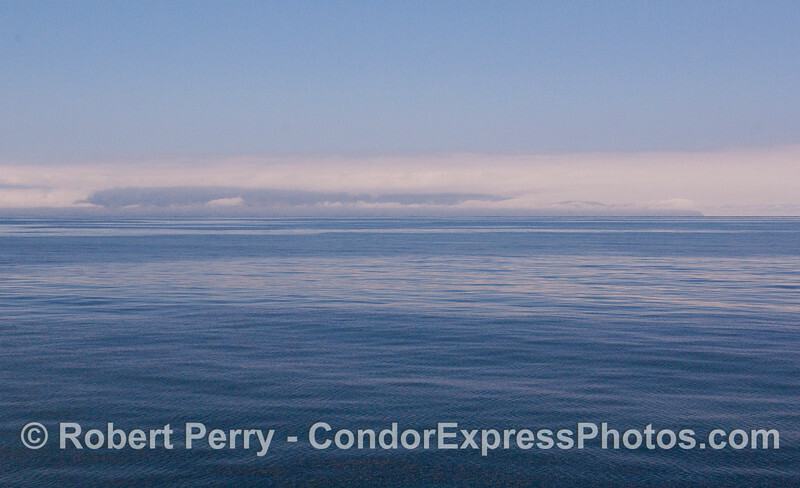 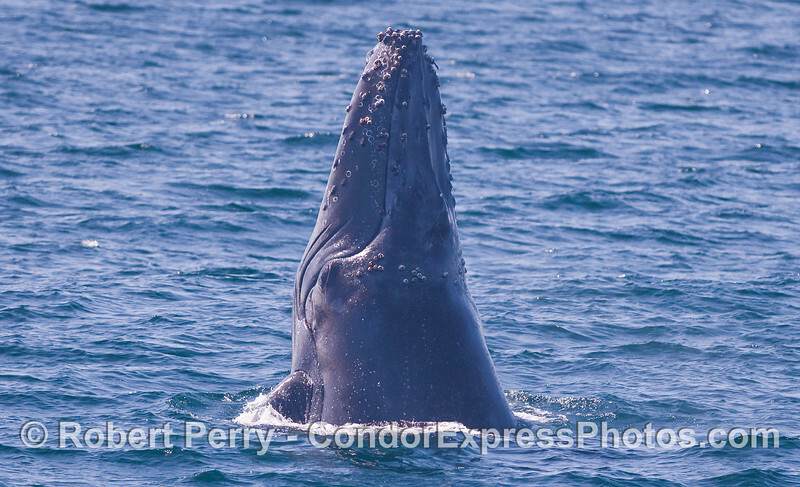 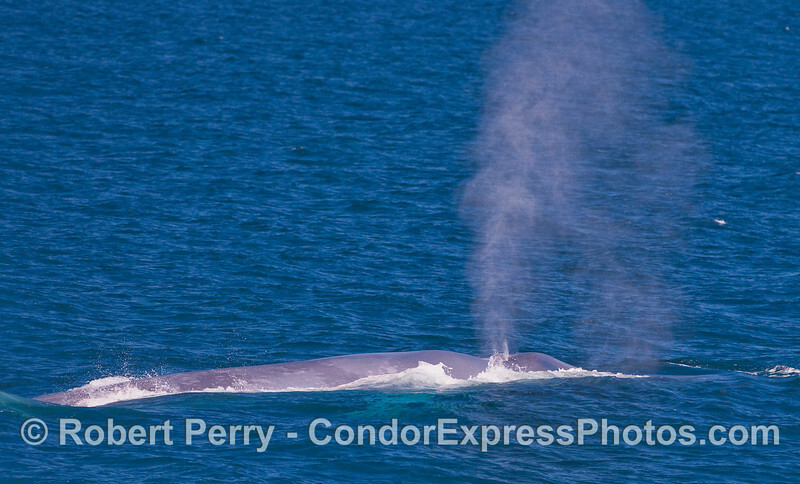 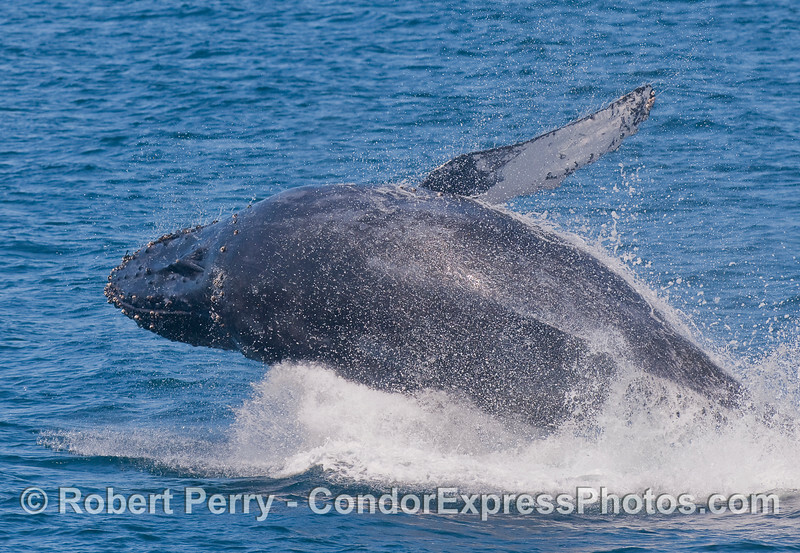 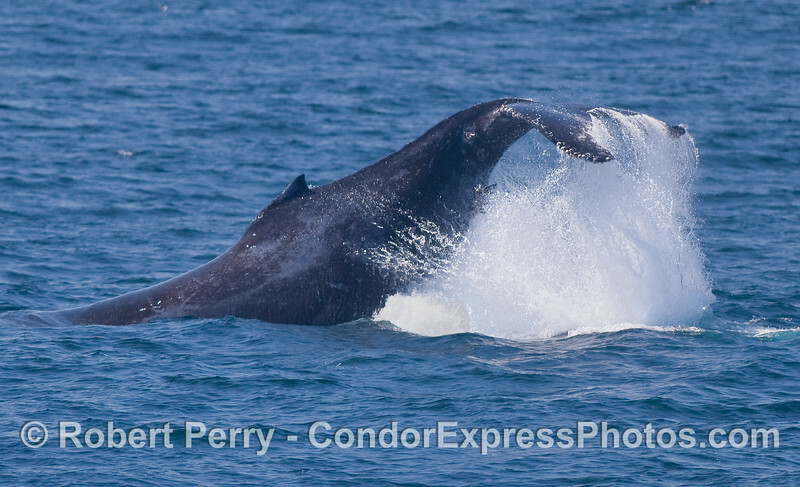 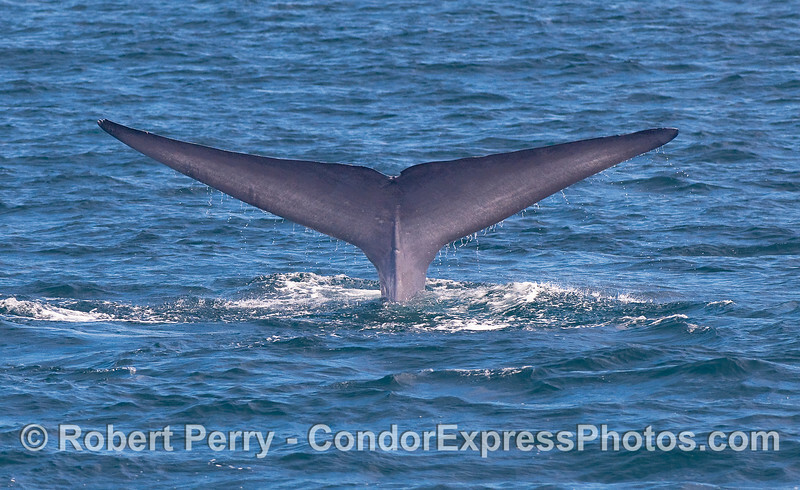 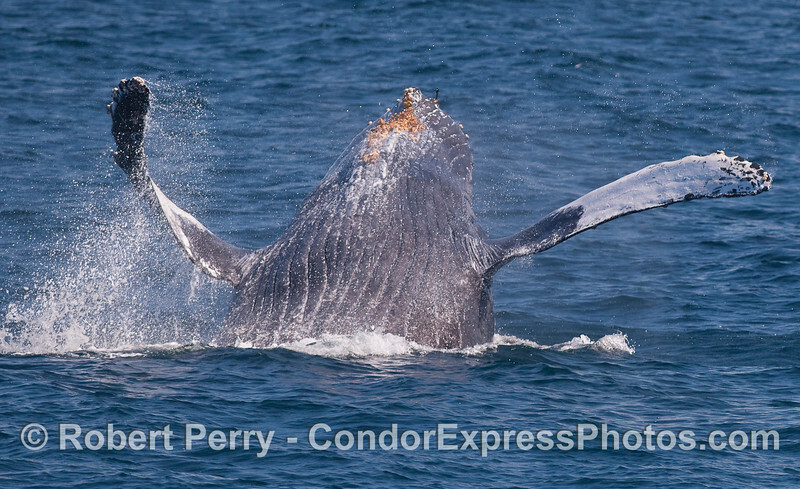 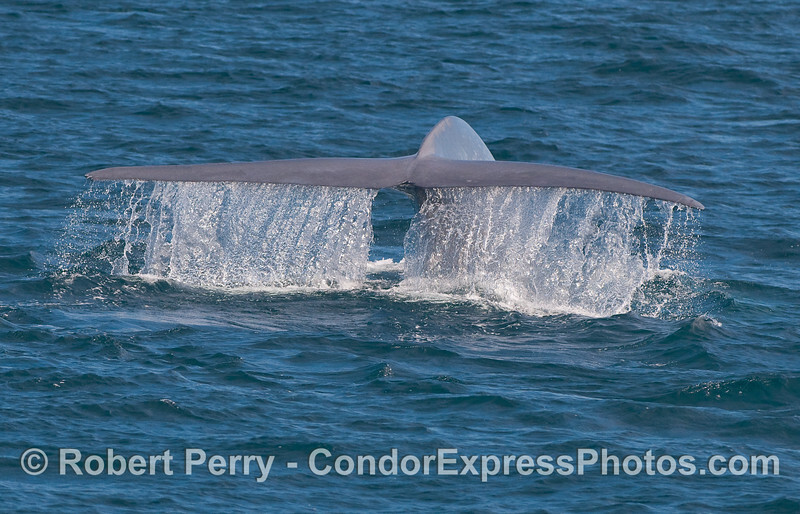 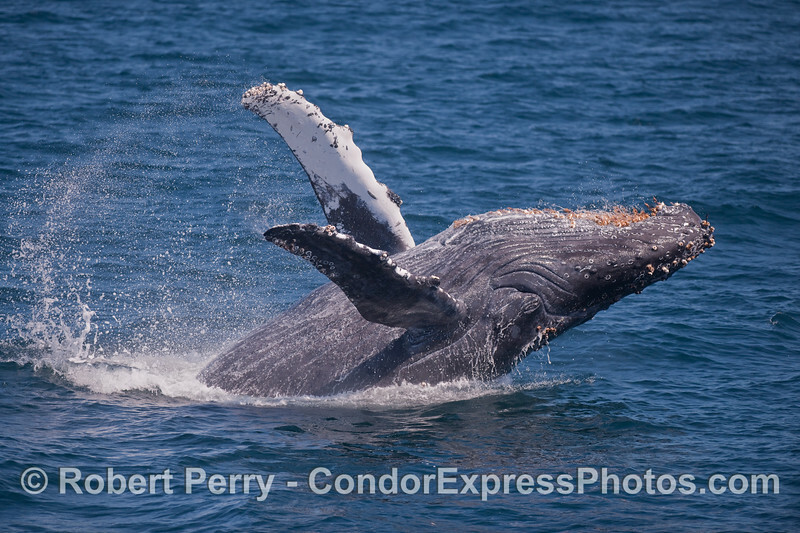 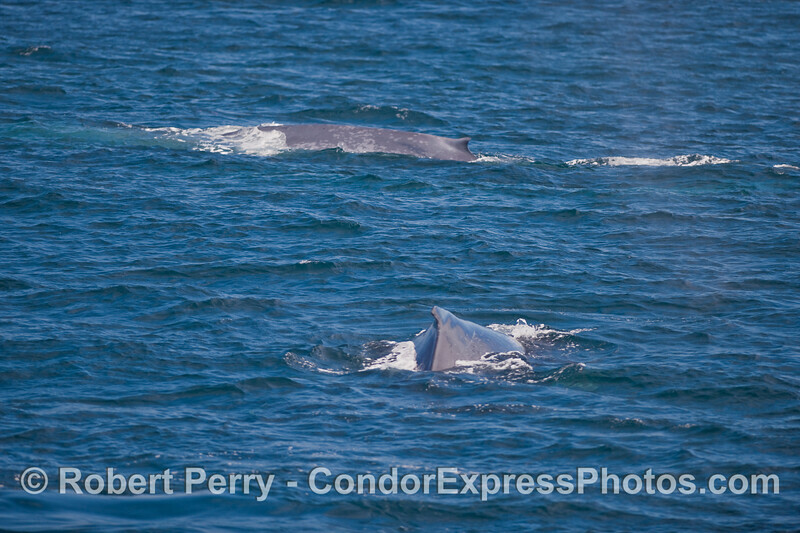 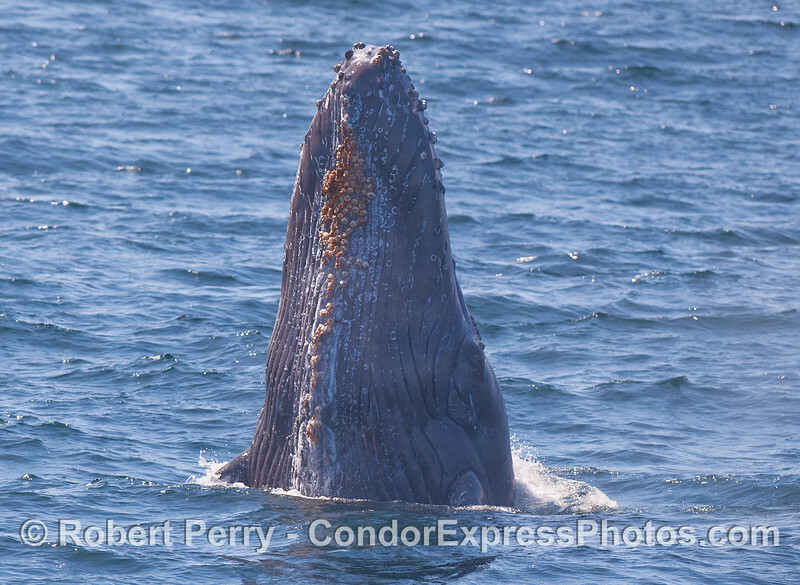 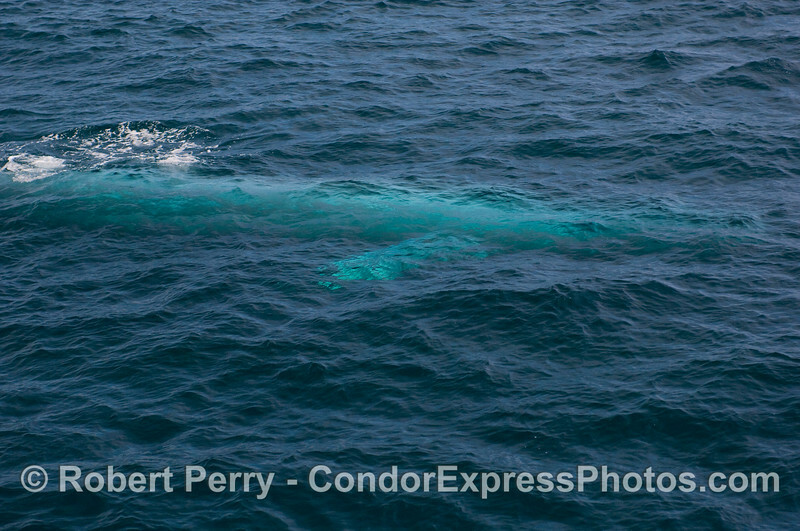 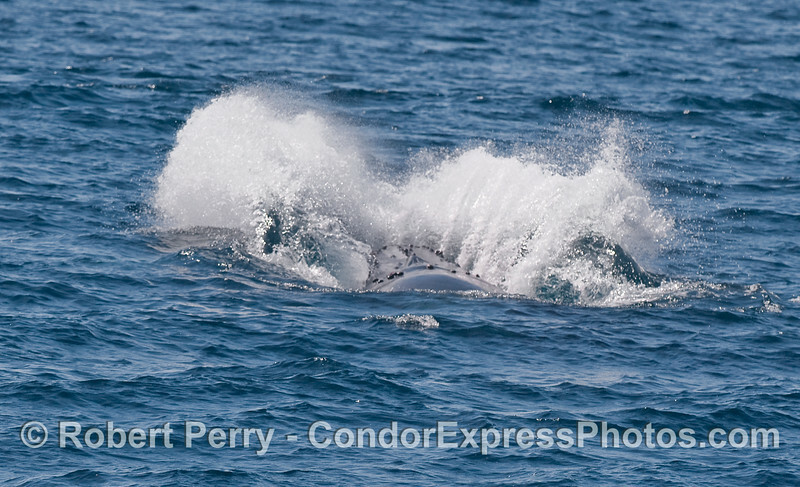 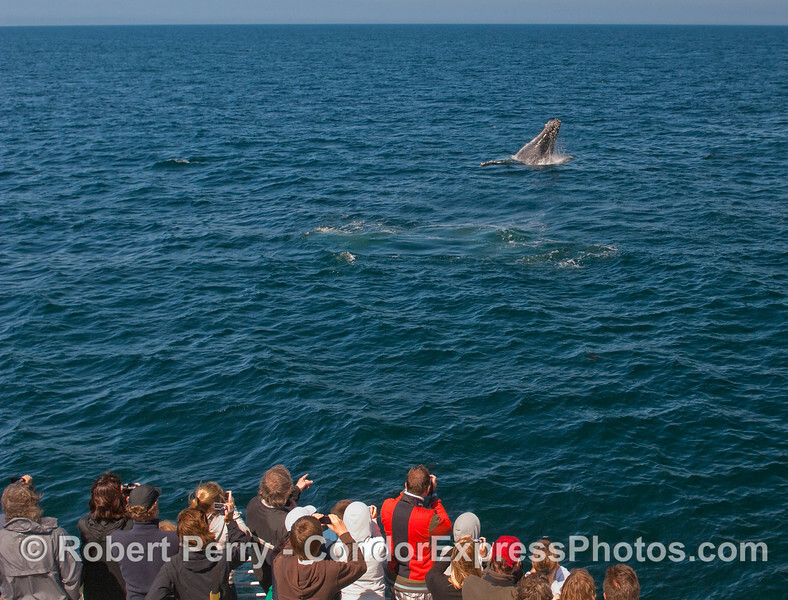 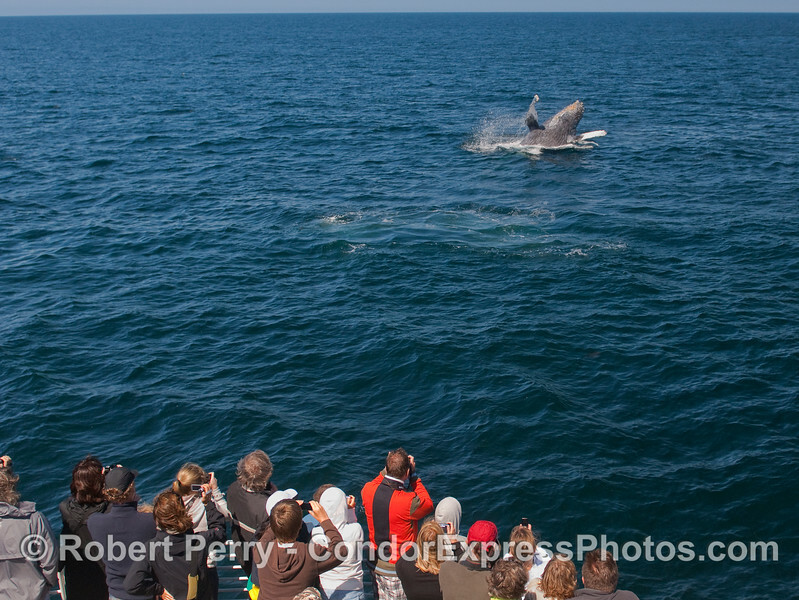 Juvenile Blue Whale swims just under the surface...lookin' mighty blue! 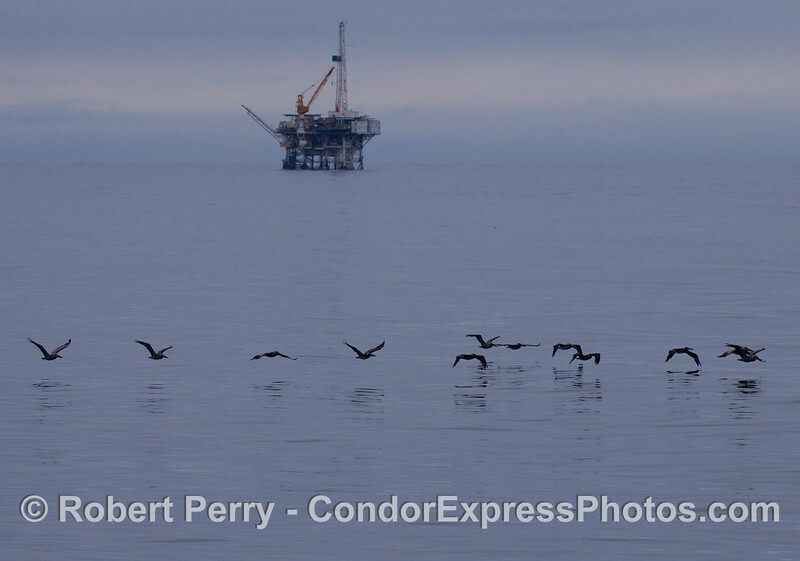 Platform Holly with a line of Brown Pelicans (Pelecanus occidentalis). 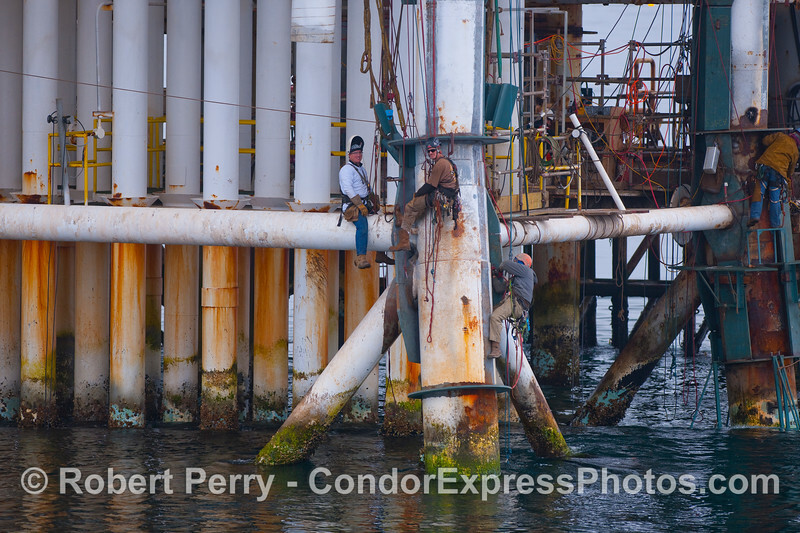 Men at work - Platform Holly.